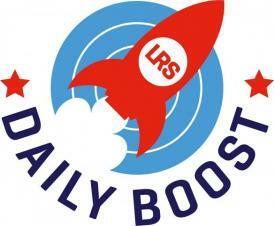 Hosted by our colleagues at Leicester-Shire and Rutland Sport (LRS) The Daily Boost aims to encourage children and young people to do 15 minutes of organised activity at school every day. This can be before, during or after school as well as being part of an 'active lesson'. Children and young people can walk, run, skip, hop or jump around a set lap or loop at school, they can even choose to do their favourite sport or activity, anything that gets them active – dancing, cycling, scooting, anything!